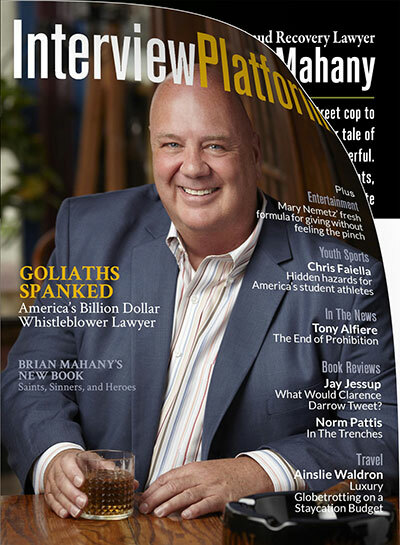 Brian Mahany’s evolution from New Orleans street cop to America’s newest Billion Dollar Lawyer is a 20 year tale of justice achieved for real people against the super powerful. He chronicles his string of David v Goliath wins in Saints, Sinners & Heroes: Covert Ops in the War Against the C-Suite Mafia. Brian Mahany: Doctors and billing clerks who stand up against shady hospital billing practices, loan underwriters who expose bad loan practices, construction foremen who blow the whistle on bridges being built with inferior steel… these are ordinary folks who decided to do something truly extraordinary. They risk their jobs, friends and careers to do what is right and with no guarantee that they will receive a penny.